I saw a telephone for the first time in 1993. It was one of those rectangular, metallic payphones that PLDT installed for the participants of Palarong Pambansa when Isabela hosted the event. I remember standing there in awe and excitement as my brother dropped some coins and tried to dial the six-digit number to the home phone of our cousins in Novaliches. We weren't successful. Either we didn't have enough coins for a long distance call or we were dialling the numbers wrong (we were first timers!). But still, I remember thinking how magical those payphones were. Those boxes connected with thin brown wires could let us talk to our relatives that we only see once or twice a year. From then on, having our own phone became a dream. But it was impossible then because telephone lines weren't available in the rural barrio I grew up, and cellphones, of course were still just products in sci-fi films. I became interested in phones and tried to learn how they work. I read books and magazines and the newspapers’ trivia section. Watching PLDT's iconic commercials on TV, I knew how life-changing phones can be. I have never touched or used one since that day at the Palaro, but I remained curious, fascinated, and sometimes, bewildered. After several years, I went to college. I lived in a dorm in Quezon City. That time, cellphones were already in existence, but it was a luxury only the rich families can afford. All of us living in that dorm, Kalayaan Residence Hall were probinsyanos and probinsyanas. So it’s just natural that Kalayaan had a shared phone that our parents, the loved ones of all hundreds of us, can call. Receiving a call was so complicated. Take my case for example. My father would commute to the nearby town 30 minutes away and use the town baker’s payphone that's paid by the minute - and at still expensive long distance costs. The dorm assistant on duty would receive the call and he or she would then shout my name via the intercom that can be heard all over our floor. Once you hear your name, you should shout back “Coming!” or else the dorm assistants would assume you’re out then cut the call. I remember having to rush to the lobby - a mad dash - since I know that every second of the call on hold is costing us money. And when I finally take the communal phone’s handset, we would cramp all our conversations in three minutes, five if my father had extra money. Needless to say, this method was hit or miss. There was no way for my father to know if I was available inside the dorm or I'm out, attending to some school requirements. Some days, he'd waste commute hours, fare and money, because I wasn't there at the time of his call. 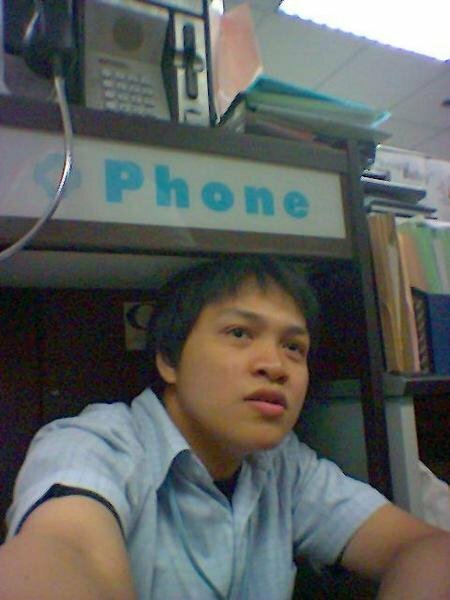 I envied my dormmates who had their own landlines in their provincial homes. They can use one of those PLDT Payphones by the dorm’s lobby to make an outgoing call anytime they want. One time, PLDT set up a booth inside the campus, handing flyers to college freshmen and selling PLDT Budget Cards and Fonkards (Yes, that’s how it’s spelled). I took a flyer and bought a Fonkard, not knowing what it's for since we didn't have a phone at home. All I know is just I bought a card because of the flyer that had the headline "No money to call Mommy?” beside a photo of a guy with his open palms raised to his chest along his shrugged shoulders to indicate "no money". This guys is me, I thought. I cut out an ID photo and pasted my head on the "no money" guy's body. And then I stuck that flyer on my dorm room’s wall. In my mind, I made stories about the no money guy and I toyed with the idea of creating flyers like this for PLDT soon. How nice, I thought. PLDT makes it possible for no money guys like me to call their mommies. I looked at the Fonkard Plus i bought, the one with the tarsier design, got off my bed and fell in line to use the the phone booths at the dorm lobby. I inserted the card and dialled the number of my uncle's house where my brother, also a college student that time, lived. A few rings, then my cousin answered. She handed the phone to my brother. That was the first time I used a phone and talked to someone over the line. The conversation was nothing extraordinary. In fact I just remember looking at the countdown timer on the LCD screen. But that time, I was just so happy that I have learned to use a phone. I actually did it. 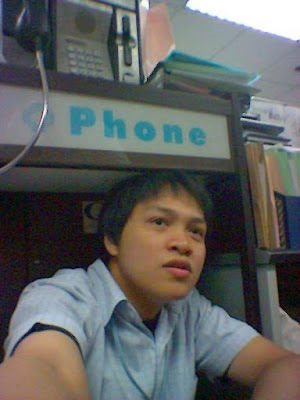 So I became a payphone “expert", falling in line night after night, calling my relatives in Manila, my high school classmates who also migrated to the big city to finish college, and of course my college blockmates. I accumulated several used Fonkards - tarsiers, Botong Francisco paintings, and the classic PLDT green Fonkard Plus. I even learned to send SMS to cellphones via payphones when that technology (!) became available. And then the mobile phones came started to become “mainstream” with some of my classmates becoming early adoptors. I was once again awestruck. Luckily, my college years were right in the emergence of the mobile phone's democratization phase. Suddenly, there was a way to own a cellular phone without paying monthly bills. Suddenly, there were phones that were relatively cheaper than the impressive Motorola StarTACs, and these new models would even allow you to send messages for just P1, and that's only when you're beyond your free text allowance. I was lucky enough to get a hand-medown Nokia 5110 from my ninang, and my sister in the province got her own hand-me-down 5110 from one of our cousins. It happened so fast. Suddenly, reaching my family in the province wasn't a struggle anymore. Waiting for a week after a big storm to check on my family has become a thing of the past. Speaking of things happening so fast, cellphones started to have features beyond person-to-person calling and texting. Mobile content exploded in popularity and when I say content, those were the ringtones, logos, wallpapers, infotext services, text games, promos and more. This was followed by a boom of TV game shows like Who Wants to be a Millionaire and Game KNB that required dialling in 1800 numbers via landlines or sending texts via mobile phones for someone to participate. For one of our journalism classes, we wanted to know how the phones are changing the landscape of games, promos and entertainment - from the dropbox sa suking tindahan and sweepstakes ticket model, to something more automated, sophisticated and personalized. Interviewing PLDT was of course, a requirement. So we sent a letter of request and the good people of PLDT granted the request of two journalism students armed with cassette recorders. The day we went to the PLDT headquarters for the interview was my first time seeing Ayala Avenue. It was my first time in Makati, actually. I was starstruck. Upon reaching the PLDT building, I tought to myself, this is where the magic happens (well I thought everything was housed in that building). Afterwards, the people at PLDT recommended that we talk to Smart too, which was a few blocks away. Amazed, I told myself then that when I graduate, I would like to work for PLDT or Smart. And so I tried. For my internship, I sent my resume directly to the email address of a Smart official. Obviously, that's not the right way to apply for an internship position, so naturally, I did not hear from him. After graduation, I walked in the PLDT and Smart HQs to personally drop my resume at their respective lobbies. I also did not get a call. I was a bit heartbroken, but life must go on. One day, I got a call from a friend who said I'd be perfect for a job in an agency where she got a job offer from (but she already signed with another company that time). Very eager to finally get my first real job (and malapit naman sa Ayala so sige na nga), I applied and got in. First day on the job, my first boss briefed me. He said we'd be working on projects for the agency's major client - Smart. And so this is how my Smart journey started. As a copywriter, I was tasked to write anything from billboard, poster and flyer headlines, promo mechanics, and those bulky SIM packs that contain user guides, welcome kits and those long terms and conditions that I read every day so that you wouldn’t need to (just kidding - you must read those). Every day, I’d write, read and proofread everything Smart related - from copies on boxes of Smart Amazing Phones, those stickers that tell you how to activate MMS and GPRS, activity books for Smart Kid subscribers, etc. That's how I kind of “mastered" Smart's products and services. This mastery of services would soon come in handy as I tried my luck again applying for Smart. This time, I got in! I got in through Smart's then Public Access unit that handled the company’s niche and specialized businesses. As part of the department’s internal creative services team, I helped encourage people to use products and services like satellite phones, mobile internet cafes, and surprise surprise, PLDT Payphones. After some years at Public Access, I felt I was ready to move on to another department - the company’s PR group. I got accepted, and for several years, I worked for the team headed by our boss Mon Isberto - the Smart official to whom I sent my internship application to. Through my years in in the company I've done several, unforgettable things - most notable are the little “things” that make a big difference in the lives of others. I’ve become part of several launches that realized the promise of bringing the benefits of technology to as many people as possible - from kids watching events (like Palaro) seeing new devices for the first time, to those young people living in dorms, separated from their families geographically but still connected by the internet. I’m proud that I, in the tiniest of ways, have become instrumental to inspiring young kids and families even in the most rural areas to dream of a better life and aspire for a grander future, because they can experience for themselves the power of technology that make possibilities virtually limitless. I am humbled and glad to have been approached by elders and little kids in communities in need who are thankful for the support and assistance the company extends to them. I can go on and on but I’d just be driving to this single point - that I am thankful to be a tiny part of something with an impact this big.